Home › Hal Luft, Ph.D.
Hal Luft, Ph.D., is director of the Palo Alto Medical Foundation (PAMF) Research Institute, and a senior investigator and interim chair of PAMF’s Department of Health Policy Research. He is also Caldwell B. Esselstyn Professor Emeritus of Health Policy and Health Economics at the University of California San Francisco. Dr. Luft received his A.B., M.A., and Ph.D. in economics from Harvard University. Dr. Luft’s research has addressed a wide range of topics in health care including health maintenance organizations, medical care utilization, hospital market competition, and risk assessment and risk adjustment. He has authored or co-authored more than 200 articles in scientific journals, including The New England Journal of Medicine, Health Services Research, American Journal of Managed Care, and Health Affairs. He is also a member of the RWJF/HCFO National Advisory Committee. Dr. Luft has served as the principal investigator on two HCFO grants. From 2005 to 2007, he led a project exploring the administrative costs associated with third party payment, separate from activities associated with the provision of care or improving its quality. He and his colleagues identified .67 full-time-equivalent (FTE) staff working on billing and insurance for every FTE physician. Additional costs included extensive computer systems and amounted to over $85,000 per FTE physician. The team’s findings were published in Health Affairs and helped to provide policymakers with estimates to assess the cost implications of insurance reform options. His second HCFO grant, from 2008 to 2009, focused on resource use and efficiency in the context of episodes of care. Dr. Luft and his colleagues examined some of the underlying assumptions of episode-based payments, assessing whether episode-based measures of resource use at the individual physician level, rather than at the physician group or medical staff level, are statistically reliable and appropriate. For chronic conditions, they found that separating the inpatient and outpatient aspects could lead to more reasonable payment approaches. Hospitals would be able to manage the inpatient component with a separate bundled payment, similar to Medicare’s DRG payment, but including professional fees. If these costs were separated, outpatient physicians would be better able to handle the financial risk of managing chronically ill patients. Their analysis also suggested the need for the “boundaries” of the inpatient episode to be tailored to the specific condition. By examining what components of care are tied to variation in expenditures, this research provided valuable information for those considering episode-based and bundled payments as a mechanism for reform. 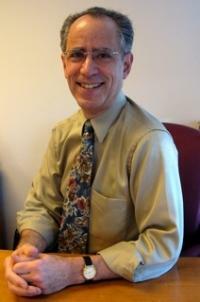 For more information on Dr. Luft’s research, visit his page on the PAMF website: http://www.pamf.org/research/policy/lufth.html.